In September, family vacations come to a screeching halt. Kids focus on school, reuniting with classmates, meeting new teachers, and starting in on schoolwork. Yet September is a great time to travel. In the northern hemisphere, the weather is lovely and the days still long, but the tourist crowds have gone home. 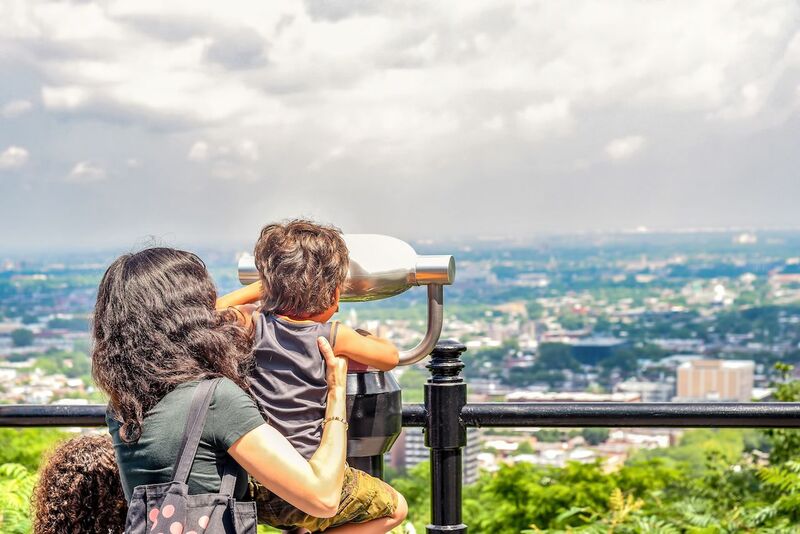 Prices for everything from airfare to hotels can be better, as well — and for many, those affordable prices may be the most feasible opportunity to take the whole fam on vacation. We think the joys of September travel shouldn’t only be for childless folks or folks whose kids have long ago grown up. Some destinations — like Venice or Tokyo — are so memorable, and dare we say educational, that they’re worth pulling your kids from school to visit. Here are our favorites. Venice is a must-visit destination for any traveler. Even the blasé kid who’s bored by cathedrals and museums will be thrilled to find canals where in other cities you’d find streets. Simply taking the boat taxi from the airport to the city center is guaranteed to make your Venice visit worthwhile. Except for the fact that, most of the time, Venice is overrun with tourists. The crowds can be daunting for travelers of any age. Hence September travel. This year, it’s the Venice Biennale for Architecture, which is actually cooler than it sounds with exhibits that may turn your kid into a future Zaha Hadid. In 2019, the better known Venice Biennale for Art (the every-other-year art show with entries from all over the world) teaches kids that art can be fun, seeing as many of the exhibits are performance art or wacky installations. Even in September, though, you’ll want to get away from the busy areas like Piazza San Marco. Take a boat bus to the Ca’Rezzonico stop and walk over to Ca’Macana for your pre-booked mask-painting class. 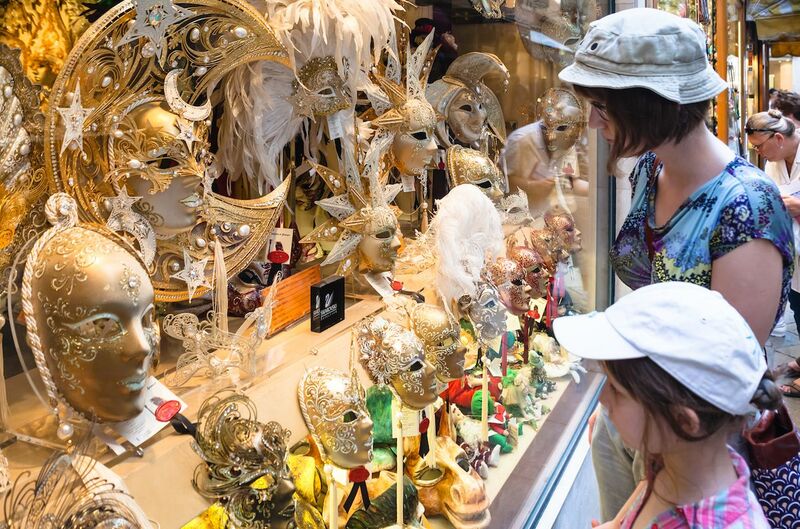 Your kids will learn about Venice’s centuries-long history of mask-wearing and create a beautiful memento to bring home. Learn to ride gondolas with Row Venice. Also, take the time to just wander through the neighborhoods away from the center and marvel at homes with boats parked out back, not cars in the garage. At meal times, the pizza and pasta options (with gelato for dessert) mean you won’t have to worry about what your kid will eat on this September getaway. 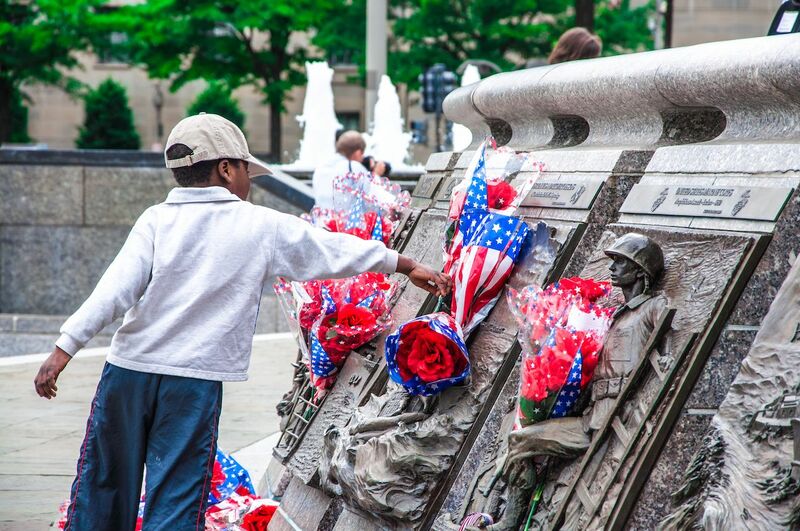 A long weekend in the US capital is a justifiable excuse to miss a couple days of school. After all, seeing where our nation’s laws are made and learning about the founding of the US is clearly going to help kids in elementary school by giving them a little context with which to understand their history classes. And the best time to visit is in September. You’ll get warm weather without the sweltering days of summer. Walking, or bike riding, along the National Mall to check out the famous constructions — from the Washington Monument to the war memorials, Lincoln Memorial, and the Martin Luther King Memorial by the Potomac Tidal Basin — will be much more pleasant when the thermometer isn’t topping 80 degrees. Moreover, the crowds will have gone home, and reservations to tour the White House or Capitol Building will be easier to come by. Kid-friendly museums include the National Air and Space Museum and the Renwick Gallery, which is hosting a Burning Man art exhibit through January 2019. We also like the National Museum of African-American Art and Culture and the National Museum of the American Indian. The cafeteria at the Native American is the best eating on the mall. Try the fry bread with honey. You’ll go back for more. If you want to give your kids the foreign-country experience but can’t take a whole week off during the school year to get to Europe, head north of the border to Canada’s French-speaking province of Quebec. Quebec is lovely at any time of year, but September is a sweet spot. The summer mosquitos are long gone, and since you’re so far north, the autumn colors will start to decorate the trees. Fortunately winter, which can be brutally cold here, is still weeks away. The city of Montreal is, like Manhattan, built on an island — this one is on the St. Lawrence River. Walking along the river is lovely, as is taking the kids to Mount Royal Park. The Centre des sciences de Montréal is an excellent science museum, and Pointe-à-Callière is pretty cool for archeology. After checking out the sights, the kids will love Montreal’s doughy baked bagels or poutine, that Canadian classic of French fries doused in cheese curds and gravy. From Montreal, you can take a day trip to Quebec City, located three hours northeast on the St. Lawrence. You’ll feel like you’ve crossed the Atlantic and gone back in time in the old town, which dates to 1608 and is a UNESCO World Heritage site. Alternatively, two-plus hours due west of Montreal takes to you to Canada’s capital, Ottawa, in the neighboring province of Ontario. The government buildings are worth seeing with the most impressive being the Parliament Building that sits on a hill. Visiting one of the country’s most famous national parks is also educational and fulfilling enough to justify missing a few school days. 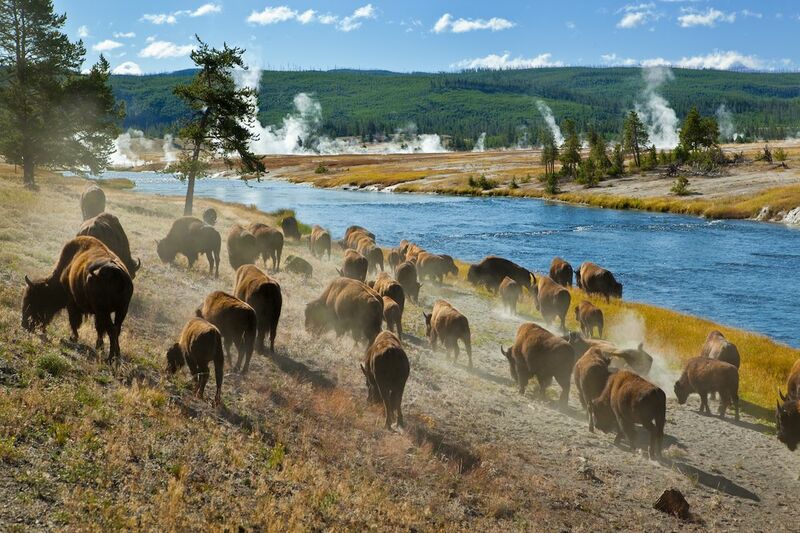 And in September, it feels like Yellowstone National Park’s native bison and elk again outnumber the tourists. September also means more spaces in the campgrounds, many of which are open this year through September 23 (only four are open beyond then). You’ll also have more luck booking in the summer lodges, most of which operate until October. Old Faithful will still erupt an average of every 74 minutes, and the grizzly bears and black bears will still be trying to find any food humans have poorly stored. The bears won’t be getting ready to hibernate until late November, though, so you’ve got a good chance to spot one. And, most importantly, all roads into the park should remain open, so you can get there from airports like the ones in Jackson, Wyoming or Idaho Falls, Idaho. You could even fly into Salt Lake City and drive five hours if that’s the cheapest option. In the winter, on the other hand, only the north entrance is open, and you’d have to fly into Bozeman, Montana. Like the nation’s capital, a visit to London is a justifiable break from school because its history and culture have had such an important influence on the US. When your kids do sit down in class to learn about the Boston Tea Party and the US War of Independence, they’ll have a sense of who we were gaining independence from. London is also home to one of the greatest science museums and natural history museums in the world. Kids will be excited to see the double-decker buses and the palace guards of literature, and their imaginations, in person. The massive London Eye Ferris wheel will be less crowded in September, although you should still book tickets and an entry time in advance. Regent Park’s open-air daytime performances for kids will end on September 9 this year, but you can take the kids to the indoor musicals like Matilda, the Lion King, or Aladdin in the West End. And don’t forget about the amazing Diana Memorial Playground or paddleboarding in the Serpentine at Hyde Park. There are countless things to do with kids in London. Take young ones to the London Transport Museum and older ones to the Tate Modern, for example. 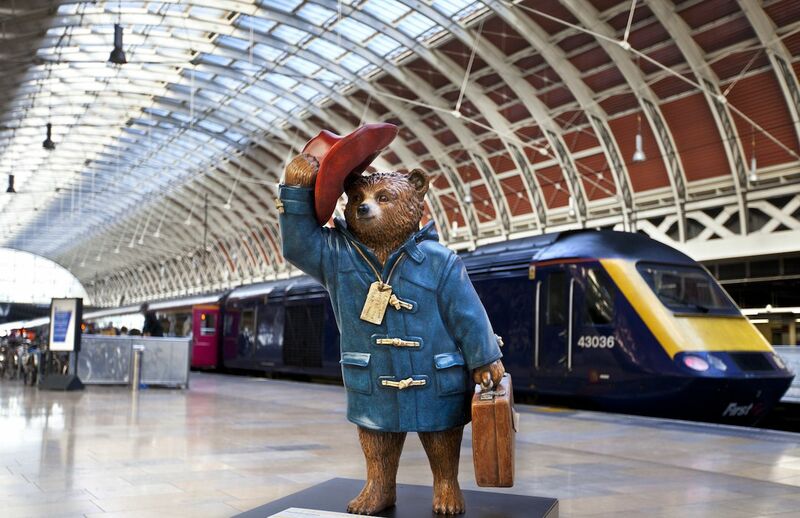 Stop by Paddington Station for a photo in front of the statue of the iconic bear. Just know that by going in the summer, you’ll have fewer crowds at the most-visited destination in Europe and find more travel bargains in this pricey, but endlessly entertaining, city. As a major airport hub, Chicago is a nonstop flight from many US cities and quite a few international ones, too. You may know the airport pretty well by now. It’s time to take the kids to see the city itself for an extended weekend. September is a perfect time for that since Chicago summers are oppressive, and in winter, an icy wind blows across Lake Michigan. The Museum of Science and Industry is full of interactive displays, and the natural history Field Museum has an exhibition on Egyptian animal mummies through next spring. Kids interested in astronomy should check out the Adler Planetarium. Even the main branch of the Chicago Public Library has a kids’ section with over 100,000 books. It’s no London Eye, but you can take your kids to the Centennial Wheel out on the Navy Pier or for an architecture boat tour on the Chicago River. The botanical gardens at the Garfield Park Conservatory are huge, and you can lounge at Lake Michigan Beach. And don’t forget that Chicago is home to deep dish pizza, which for most kids is the perfect meal. Several nonstop flights leave daily from US west-coast airports to Tokyo. 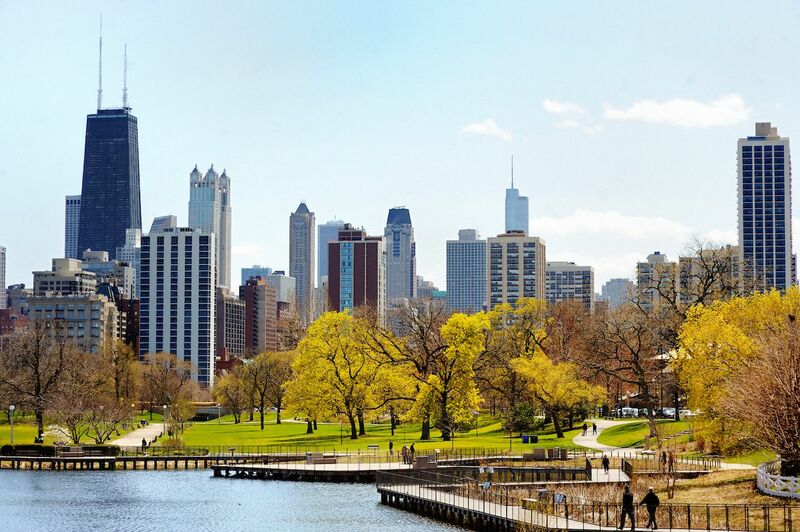 Although there’s a big time difference, going west is easier for jet lag, meaning you’ll be able to hit the ground running in this remarkable city. And if you do wake up crazy early on your first morning, hit the Tsukiji Fish Market, a mini-city of vendors selling unusual fish every night. 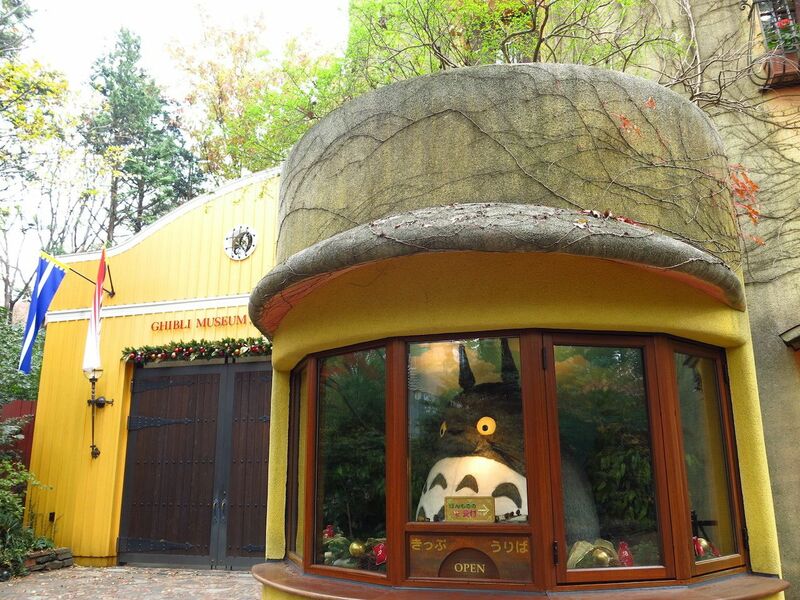 Tokyo is jam-packed with great museums, including the National Museum of Nature and Science, but take them to the Ghibli Museum honoring director Miyazaki Hayao instead. (Be sure to see his animated film Spirited Away before your trip.) Or skip the museums altogether to wander the neighborhoods. In Akihabara, the electronics shop will blow your children away, and on Kappabashi Street in “Kitchen Town,” they’ll marvel at all the plastic food. In the Omotesando, teens will gawk at Japanese adolescents modeling their crazy outfits, and everyone will be impressed with Kiddy Land in Harajuku. Also, a high-speed train takes you to Kyoto in just over two hours. There, you can rent bikes and ride along the Kamo River to the many temples located on the north end of the city. One of them is the Temple of the Golden Pavilion, which is covered in gold leaf. No matter which city you hang out in, Japan has plenty of noodle bars to satisfy any kid’s hunger. No place changes its character from one month to the next like Paris. To see Paris with Parisians, come in September. Paris is overridden with travelers in the summer when the only residents still in town work in tourist-oriented businesses. In September, Parisians come home to reclaim their city, get back to their jobs, and send their kids to school. In September, you can visit the Eiffel Tower without waiting two hours. You can also go underground into the Catacombs where the bones of six million former residents are housed. It’s so cool and creepy that lines can be long, so a late-September visit is best. A good museum is the Centre Pompidou; the crazy exterior elevator tubes and modern art really do hold kids’ attention. 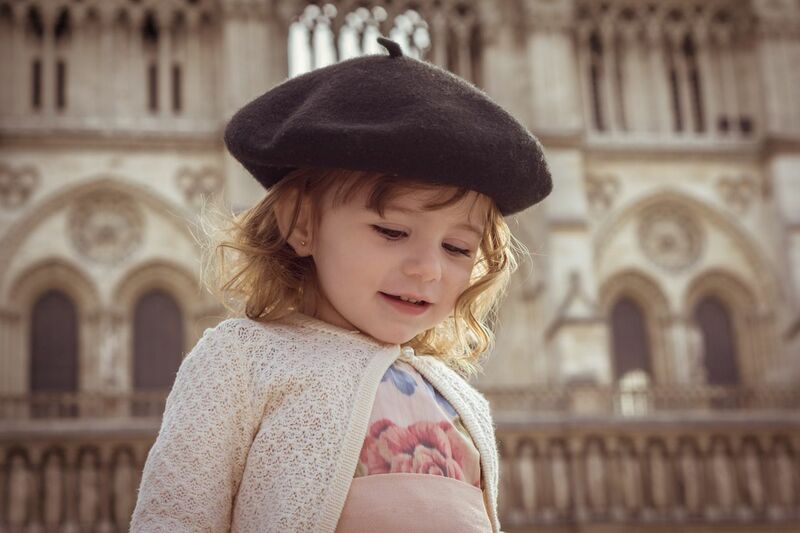 If your children can handle another museum, the Musée d’Orsay is housed in a converted train station, and the architecture alone is worth seeing. For outdoor time, take your little ones to the Parc des Buttes-Chaumont or the Luxembourg Gardens. At the Palace of Versailles, outside the city, you can tour the gardens and row a boat. Just be sure to start your days at an outdoor cafe, enjoying some fresh baguettes with marmalade, then have a lunch of a croque monsieur sandwiches and snack on some crepes. Your kids will be thinking about their French meals for the rest of the school year.